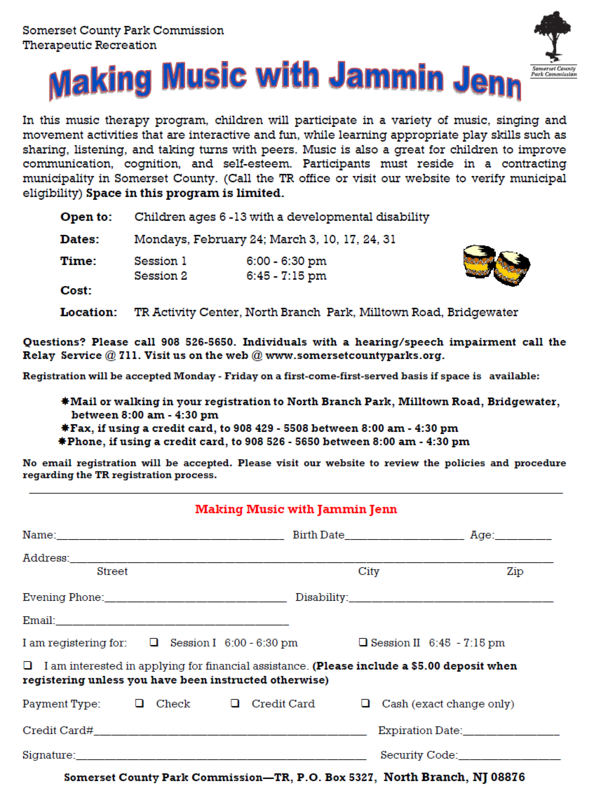 Jammin’ Jenn Music Therapy is thrilled to be conducting a group music therapy program with the Somerset County Parks and Recreation Department! Please have a look at the flyer and if you can participate we would love for you to join us. Please contact the Therapeutic Recreation Dept. for information and to make sure that you are eligible to participate. Call 908.526.5650. We look forward to seeing you there!!! This entry was posted in Group Music Therapy and tagged group music therapy. Bookmark the permalink.